In photo #369 you see "Old Guy Scott" wet sanding the first paint applications with #400 grit wet paper using a flexible block. 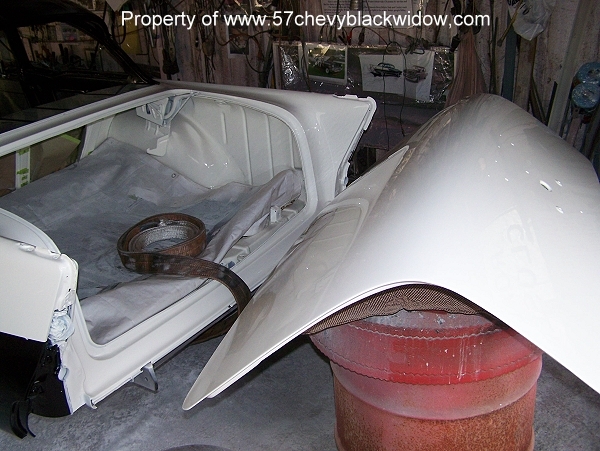 Photo #370 shows the trunk ready for final painting. 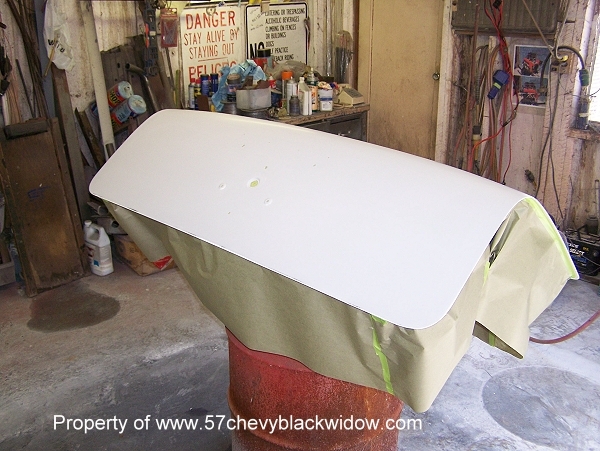 "Old Guy Scott" says when painting enamel, if you block sand before the final top coats you will be able to polish it to a show car finish, the extra feature is a long lasting paint job. 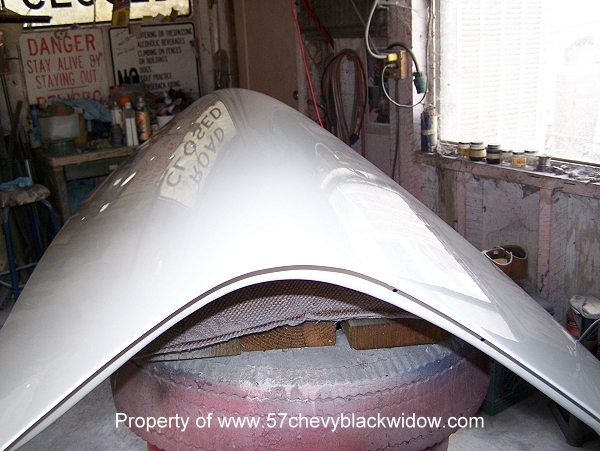 Photo's # 371 & 372 shows a top quality finish.